Another bracelet/cuff - this one features a little simpler cable. 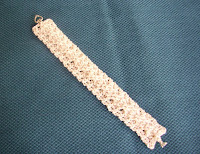 Again, crocheted using off-white #3 crochet thread and a 2.5 mm hook. The clasp is a heart/bar toggle I found at Joann's. Labels: "crochet cables", "crochet thread", "crocheted jewelry"
You'll be pleased to know that my son came on a short visit recently and I taught him to crochet. 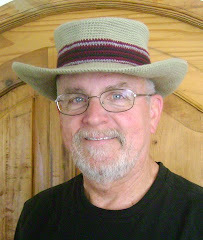 He was most impressed with your site and is aiming to crochet one of your hats. 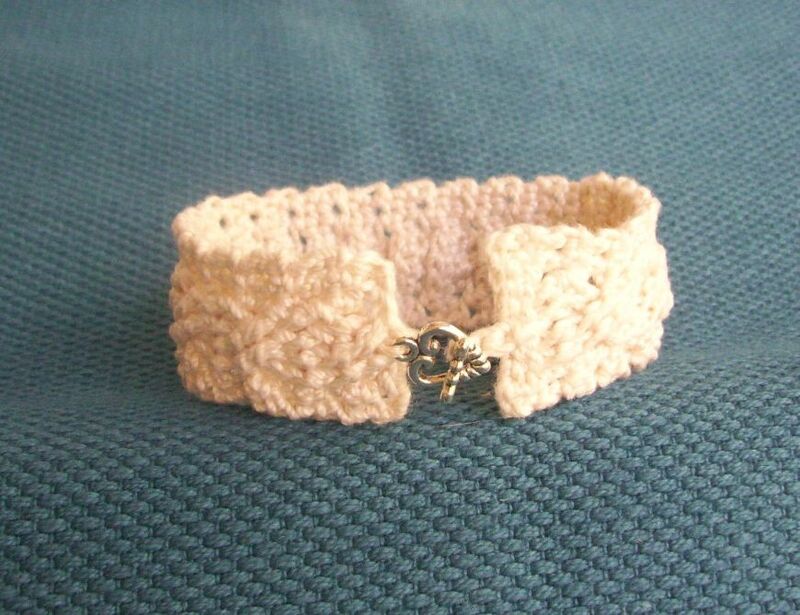 @crafty cat corner - I found his blog and he has a cuff displayed prominently. If I was an inspiration, I'm very pleased. Greetings from the other side of the atlantic!